Linden (5B), on clarinet, and Chloe (5B), on alto saxophone, performed in the University of Arizona Outreach Honor Band this past Saturday, May 9, at Crowder Hall. 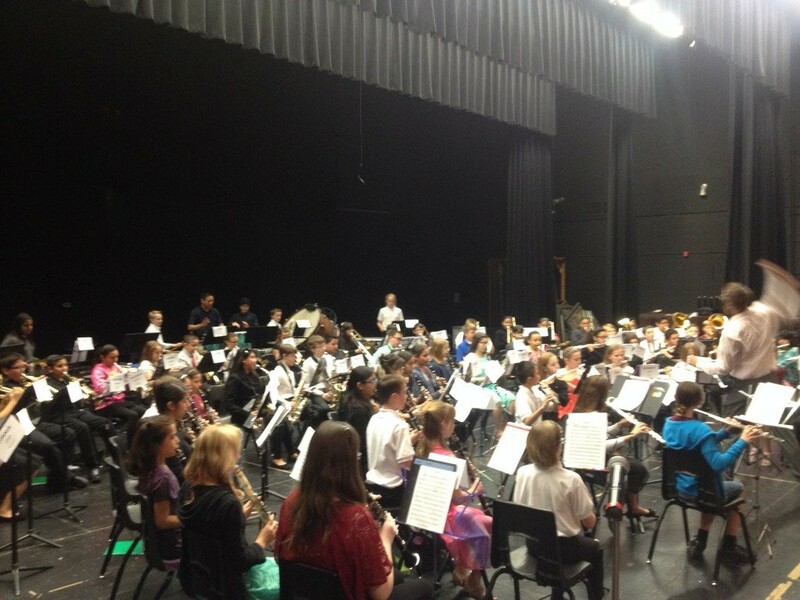 The Honor Band is composed of middle school students, grades 6-9, throughout the Tucson metropolitan area. Linden and Chloe were the only fifth graders accepted into the band. Congratulations, Chloe and Linden! Congratulations to the participants in our after school program, Girls on the Run. Catherine, Naomi, Lily, Boone, Audrey, Chloe, and Claire ran a 5k with the other GOTR teams in Tucson at the end of the season event. Great job! Every October, middle school band directors from all over Southern Arizona nominate their top students to participate in an annual honor festival. This year we had a record thirteen students selected, and nine of them participated in the all-day festival this past Saturday at Canyon del Oro High School. 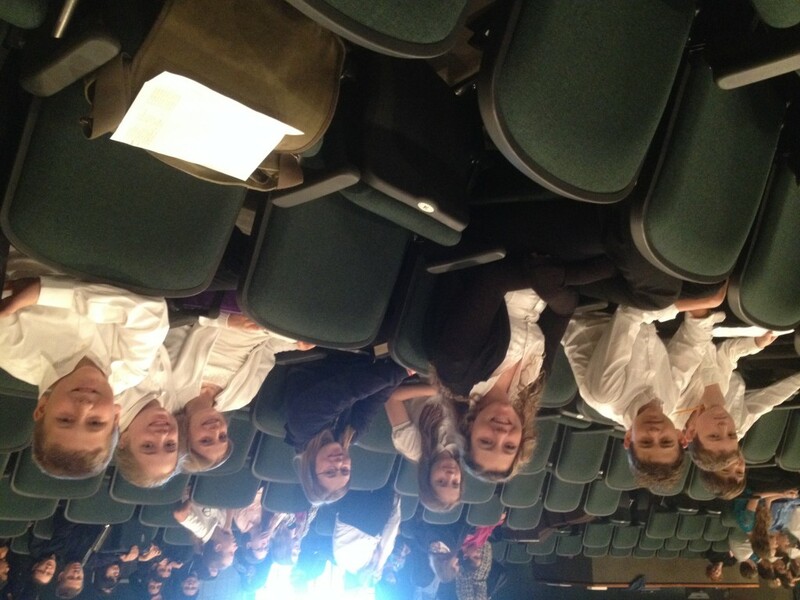 The sixth grade honor band included Maya Sterling (flute), Willa Kleiner (clarinet), Andrew Gioannetti (alto sax), Katherine Hawes (trumpet), Alexander Brown (trombone), and Lilly Bedwell (percussion). Stephen Peterson (trumpet) and Colin McIlrath (horn) participated in the seventh grade honor band, and Holly Labus (flute) was our eighth grade honor band representative. 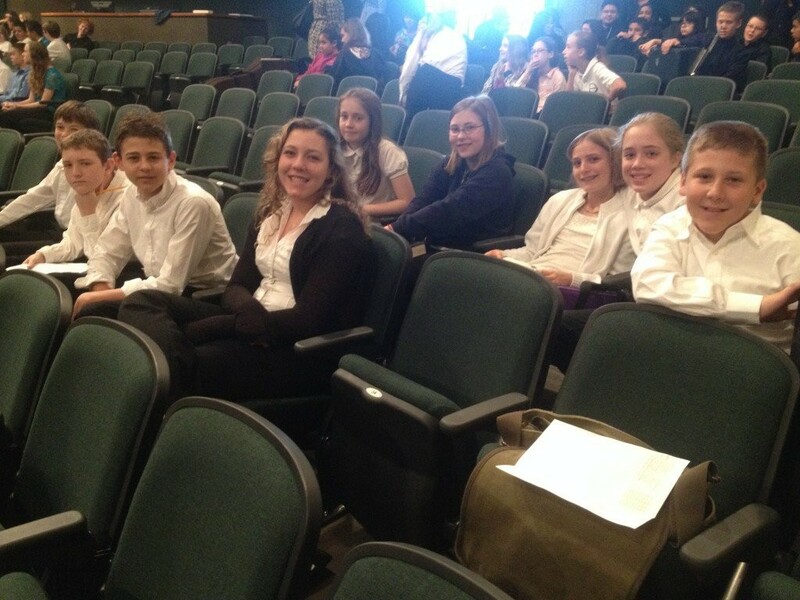 Our students were excellent representatives of St. Michael’s! Colin McIlrath (6th) and Libby Monthofer (7th) were selected for the 2014 Arizona Junior High All-State Band. They performed in a wonderful concert at Dobson High School in Mesa on March 22nd. Congratulations to them both! This weekend, three St. Michael’s students will represent the school in the Southern Arizona Honor Band. Jorge Vega (7th grade, bass clarinet), Gabby Bogan (6th grade, percussion), and Delaney Sanders (6th grade, clarinet) will spend Saturday rehearsing with top-notch students from all over southern Arizona and fantastic guest conductors. The concert is at 4:00 on Saturday at Canyon del Oro High School.